The protest started from Aurangabad when the protesters called for 'Jal Samadhi' agitation near Godavari river. A 27-year old youth, Kakasaheb Shinde, a resident of Kaygaon village of Aurangabad jumped off to Godavari river from the bridge above it on July 23. The man drowned to his death and the protest became violent against the administration. The demand for reservation by Marathas caught up acceleration after Maratha Kranti Morcha took control of the protest in Maharashtra. 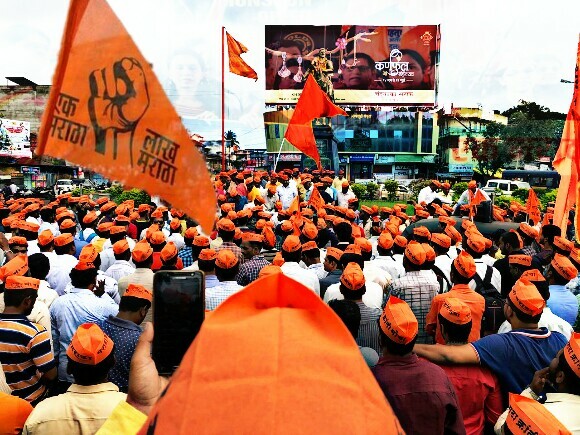 The protest which began last week has finally got a state wide attention when the Maratha Kranti Morcha brought the state wide ‘band’ on July 25. The protest started from Aurangabad when the protesters called for ‘Jal Samadhi’ agitation near Godavari river. A 27-year old youth, Kakasaheb Shinde, a resident of Kaygaon village of Aurangabad jumped off to Godavari river from the bridge above it on July 23. The man drowned to his death and the protest became violent against the administration. 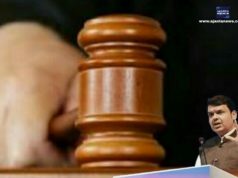 The government offered compensation of Rs. 10 Lakh against the demand of Rs. 50 lakh to his family and a government job to his brother. A protester, Yogesh Shirke, alleged that the police present there provoked the protesters. 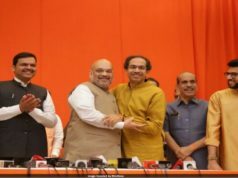 “When we came to take ‘Jal Samadhi’, the police started provoking us and challenged us to take samadhi if we actually have Maratha blood running through our veins,” said Shirke to ANI on July 24. Several other protesters showed their outrage through various acts. Jayendra Dwarkadas Sonawane, 28 year old protester had jumped off to river Venganga from the bridge at Nashik-Aurangabad road was undergoing treatment in a nearby hospital. Amol Jagtap from Latur district tried to immolate himself but was saved by the police present there. 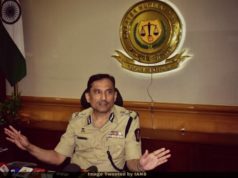 On the other hand, a police constable from Aurangabad, Sham Atgaonkar, died in a stone pelting attack by the protesters on July 24. Another police constable was injured while performing his duty in Aurangabad. The protesters called state wide band on July 25 where the people holding the flags of Maratha Kranti Morcha were seen forcibly asking the shops to close down. Several incidences of violence was reported from parts of Mumbai. Latur witnessed a clash between two groups when a group tried to forcibly shut shops, however, police force reached the spot and took control of the situation, ANI reported. The similar scene was reported from Mumbai’s Kandivali where the protesters prevented the traffic in Kandivali’s Sambhaji Nagar to enter the highway. The eastern express highway was blocked and the slogans against CM Devendra Fadnavis were raised, reported ANI. Similarly, traffic near Raigad district, Mumbai-Goa highway, Western Express highway were reported affected during the protest since morning. Schools and colleges were seen shut in Akola city of Maharashtra to prevent any untoward incidents. When it comes to the damages to the public properties, 9 BEST buses were reportedly damaged in the area of Kurla, Sakinaka, Chandivali, Kandivali, Bhandup, Koparkhairane, Mankhurd and Andheri, reported CNNNEWS 18. Soon it was time for the political parties to react to the demand for reservation by the Maratha community. 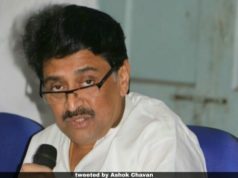 “The Fadnavis-led government is engaged in an attempt to paint the protesting Maratha community members as criminals and this attempt is infuriating,” said Ashok Chavan, ex-Chief Minister of Maharashtra and current President of Maharashtra Pradesh Congress Committee. 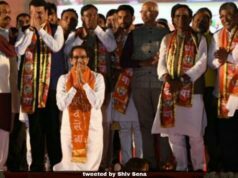 The BJP-ally in Maharashtra, Shiv Sena, also reacted to the protest and backed the demand for reservation by the Maratha community. However, by the evening of July 25, the Chief Minister Devendra Fadnavis agreed to talk to the Maratha community over their demands. 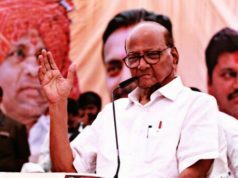 The protest was subsequently called off and the Maratha Kranti Morcha leader, Virendra Pawar sounded content with the protest’s performance. However, he also denied of hurting anyone due to the protest. “We are Marathas, we don’t hurt anyone. Nothing has happened in the city,” he said to Press. The train service between Thane & Vashi on Trans-Harbour line that were halted during the protest has now resumed after the protest has been called off by the Maratha Kranti Morcha.